The single Bb horn offers the same advantage of lightness than the single F horn. Single Bb horns are highly appreciated by “high” hornists because they can make challenges in opera or concert that much easier. Typically, single Bb horns will be found in chamber music and solo situations. The sound of Bb horns is lean and supple. The notes in the low register below low Bb can be successfully played as with Model 97—with a separate extra fourth extension. 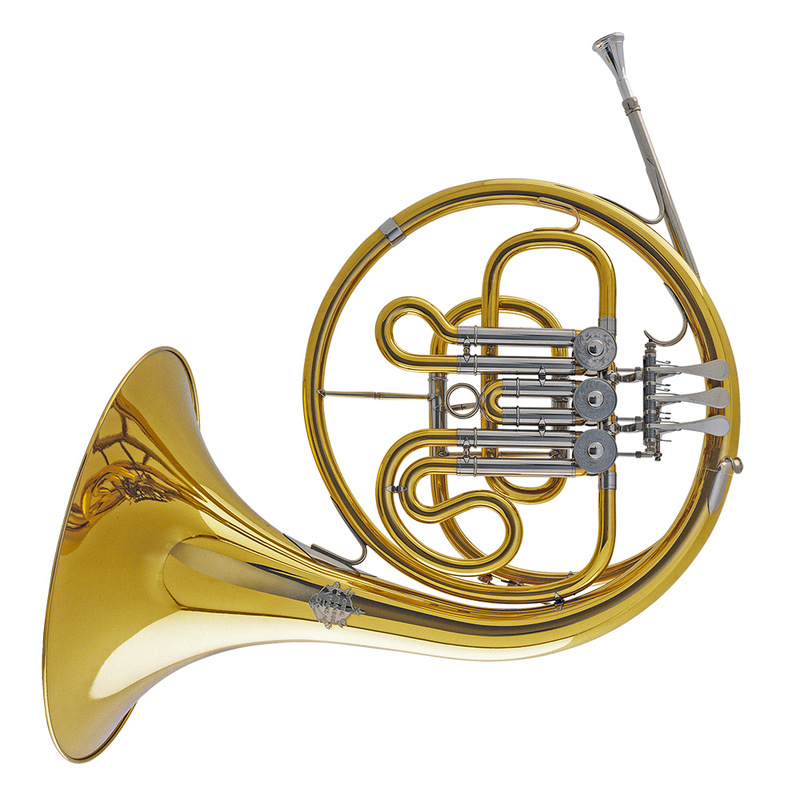 Model 88 can also be ordered with an extra set of three valve slides and a main slide, that converts the instrument in to an F-Horn.